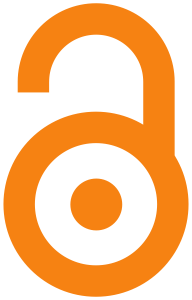 ← The consequences of Open Access: Part 1: Is anyone thinking about the “lay” reader? In part 1 of this post, I raised questions about how academic writing might have to change in response to the open access agenda. The spirit of open access surely requires not just the availability of academic papers, but the accessibility of those papers to research users and stakeholders. I argued that lay summaries and context pieces will increasingly be required, and I was pleased to discover that at least some open access journals are already thinking about this. In this second part, I want to raise questions about whether researchers and those who support them are ready for the potential extra degree of scrutiny and attention that open access may bring. On February 23rd 2012, the Journal of Medical Ethics published a paper called After-birth abortion: why should the baby live? by Alberto Giubilini and Francesca Minerva. The paper was not to advocate “after birth abortion” (i.e infanticide), but to argue that many of the arguments that are said to justify abortion also turn out to justify infanticide. This isn’t a new argument by any means, but presumably there was sufficient novelty in the construction of the argument to warrant publications. To those familiar with the conventions of applied ethics – the intended readers of the article – it’s understood that it was playing devil’s advocate, seeing how far arguments can be stretched, taking things to their logical conclusion, seeing how far the thin end of the edge will drive, what’s at the bottom of the slippery slope, just what kind of absurdium can be reductio-ed to. While the paper isn’t satire in the same way as Jonathan Swift’s A Modest Proposal, no sensible reader would have concluded that the authors were calling for infanticide to be made legal, in spite of the title. I understand that what happened next was that the existence of the article – for some reason – attracted attention in the right wing Christian blogosphere, prompting a rash of complaints, hostile commentary, fury, racist attacks, and death threats. Journal editor Julian Savulescu wrote a blog post about the affair, below which are 624 comments. It’s enlightening and depressing reading in equal measure. Quick declaration of interest here – my academic background (such as it is) is in philosophy, and I used to work at Keele University’s Centre for Professional Ethics marketing their courses. I know some of the people involved in the JME’s response, though not Savulescu or the authors of the paper. There’s a lot that can (and probably should) be said about the deep misunderstanding that occurred between professional bioethicists and non-academics concerned about ethical issues who read the paper, or who heard about it. Part of that misunderstanding is about what ethicists do – they explore arguments, analyse concepts, test theories, follow the arguments. They don’t have any special access to moral truth, and while their private views are often much better thought out than most people, most see their role as helping to understand arguments, not pushing any particular position. Though some of them do that too, especially if it gets them on Newsnight. I’m not really well informed enough to comment too much on this, but it seems to me that the ethicists haven’t done a great job of explaining what they do to those more moderate and sensible critics. Those who post death threats and racist abuse are probably past reasoned argument and probably love having something to rail against because it justifies their peculiar world view, but for everyone else, I think it ought to be possible to explain. Perhaps the notion of a lay summary that I mentioned last time might be helpful here. Part of the reason for the fuss might have been because the article wasn’t available via open access, so some critics may not have had the opportunity to read the article and make up their own mind. This might be thought of as a major argument in favour of open access – and of course, it is – the reasonable and sensible would have at least skim-read the article, and it’s easier to marshal a response when what’s being complained about is out there for reference. However….. the unfortunate truth is that there are elements out there who are looking for the next scandal, for the next chance to whip up outrage, for the next witch hunt. And I’m not just talking about the blogosphere, I’m talking about elements of the mainstream media, who (regardless of our personal politics) have little respect or regard for notions of truth, integrity and fairness. If they get their paper sales, web hits, outraged comments, and resulting manufactured “scandal”, then they’re happy. Think I’m exaggerating? Ask Hilary Mantel, who was on the receiving end of an entirely manufactured fuss with comments she made in a long and thoughtful lecture being taken deliberately and dishonestly out of context. While open access will make things easier for high quality journalism and for the open-minded citizen and/or professional, it’ll also make it easier for the scandal-mongers (in the mainstream media and in the blogosphere) to identify the next victim to be thrown to the ravenous outrage-hungry wolves that make up their particular constituency. It’s already risky to be known to be researching and publishing in certain areas – anything involving animal research; climate change; crop science; evolutionary theory; Münchhausen’s by Proxy; vaccination; and (oddly) chronic fatigue syndrome/ME – appears to have a hostile activist community ready to pounce on any research that comes back with the “wrong” answer. I don’t want to go too far in presenting the world outside the doors of the academy as being a swamp of unreason and prejudice. But the fact is that alongside the majority of the general public (and bloggers and journalists) who are both rational and reasonable, there is an element that would be happy to twist (or invent) things to suit their own agenda, especially if that agenda involves whipping out manufactured outrage to enable their constituency to confirm their existing prejudices. Never mind the facts, just get angry! Doubtless we all know academics who would probably relish the extra attention and are already comfortable with the public spotlight. But I’m sure we also know academics who do not seek the limelight, who don’t trust the media, and who would struggle to cope with even five minutes of (in)fame(y). One day you’re a humble bioethicist, presumably little known outside your professional circles, and the next, hundreds of people are wishing you dead and calling you every name under the sun. While Richard Dawkins seems to revel in his (sweary) hate mail, I think a lot of people would find it very distressing to receive emails hoping for their painful death. I know it would upset me a lot, so please don’t send me any, okay? And be nice in the comments…..
Of course, even if things never get that far or go that badly, with open access there’s always a greater chance of hostile comment or criticism from the more mainstream and reasonable media, who have a much bigger platform from which to speak than an academic journal. This criticism need not be malicious, could be legitimate opinion, could be based on a misunderstanding. Open access opens up the academy to greater scrutiny and greater criticism. As for what we do about this….. it’s hard to say. I certainly don’t say that we retreat behind the safety of our paywalls and sally forth with our research only when guarded by a phalanx of heavy infantry to protect us from the swinish multitude besieging our ivory tower. But I think that there are things that we can do in order to be better prepared. The use of lay summaries, and greater consideration of the lay reader when writing academic papers will help guard against misunderstandings. University external relations departments need to be ready to support and defend academic colleagues, and perhaps need to think about planning for these kind of problems, if they don’t do so already. This entry was posted in Frustrations, Open Access, Research Costs, Research Impact, Social Media, University culture. Bookmark the permalink. 6 Responses to The consequences of Open Access, part 2: Are researchers prepared for greater scrutiny? It might be interesting to compare these kinds of arguments with the arguments made a few centuries ago when people began to advocate for opening up reading and literacy to the population at large . If you let people read ~ even the Bible ~ who knows what kinds of heresies may arise? That’s an interesting analogy – can the elite trust the people with the knowledge, what might they do with it, and what guidance/leadership ought they to be given?